While some marketing companies are busying themselves with the buying habits of millennials, savvy businesses know to look ahead to the next big influencer: Generation Z. Although the first instinct might be to put this generation to the side – after all, they’re only starting to enter the workforce, and may not yet control the money in their respective households – these young people are next in line to take charge when it comes to purchases and influential media. If your company doesn’t yet have a plan in place to cater to Generation Z, the time to begin is now – before you know it, Generation Z will be the ones defining successful marketing. The members of Generation Z are defined as being born from the 1990’s to the mid-2000’s, placing them under 18 years of age currently. While the idea of high school students being top influencers may seem a little far-fetched, it’s not so strange when you consider how widespread they are and how they inspire each other to buy in to the latest trends. According to International Business Times, this demographic brings in about $44 billion a year, based on their average weekly allowances. Keep in mind that kids who aren’t making their own purchases yet still have buying power, as influencers of their parents’ purchasing decisions. In a lot of ways, Generation Z can and will be defined by their differences from millennials – their closest generational relatives. Although only a decade separates the two, Generation Z is already considered to be very different from millennials in terms of their media consumption. Generation Z spends more time on their phones, which may end up skewing future marketing plans towards more mobile pursuits (as opposed to millennials, who spend more time on their desktop computers than smartphones). Gen Zers are also varied in the types of media they spend their time on, spreading their attention across multiple devices – which can make it difficult to target ads to them without a multi-pronged approach. Future marketers will need to successfully interweave their digital advertising across smartphones, TVs, laptops, desktops, and iPods – not to mention whatever new personal devices our tech industry comes up with next. First, Visuals: Generation Z typically eschews traditional social networks like Facebook in favor of visual-based platforms such as Snapchat, YouTube, or Instagram – yet their television consumption is far less than millennials, indicating that the visual aspect is more about self-expression and community. Second, Charities: A Macleans article says that 60% of Generation Z wants jobs that have a social impact and 26% already volunteer. This generation cares more about brand transparency, and wants to support companies that are actively doing good. 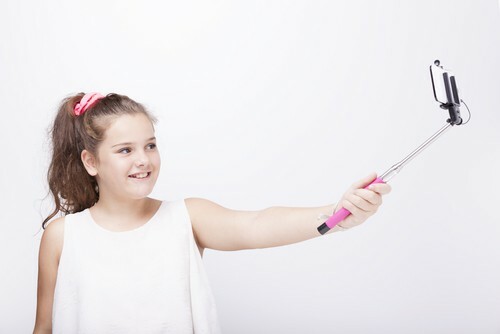 Third, Innovation: Generation Z places a strong emphasis on being innovators – the widespread reach of social media and the increasing popularity and success of crowdsourcing have allowed the inventors in this generation to truly flourish. International Business Times wraps it up simply: “They’re humble, phone-obsessed and they like video games. They’re worried about the environment, choose visuals over text and prefer incognito social media platforms.” For brands to engage Generation Z, it’s best to consider an approach that appeals to their desire to change the world. As Generation Z turns further away from traditional ads and marketing, they’ll begin to look more towards brands and companies they can believe in and want to be a part of. This means that a focus on authenticity and transparency will be moved to the front of marketing campaigns, creating a new form of storytelling that can appeal to the activist hearts of Generation Z. The media usage and consumption of Generation Z tells us a lot about where marketing is headed in the not-too-distant future. This group is both more conservative and more driven to make a difference than past generations, and their $44 billion buying power will say a lot about what’s important to them. Marketers ought to be looking at cross-channel approaches that emphasize the authenticity of their product – particularly when it can encourage Generation Z to get involved and make a difference.